Users might find it confusing when speaking of the word 'log', however, it is a very frequently-mentioned word among engineers. So here is the question: what is log? 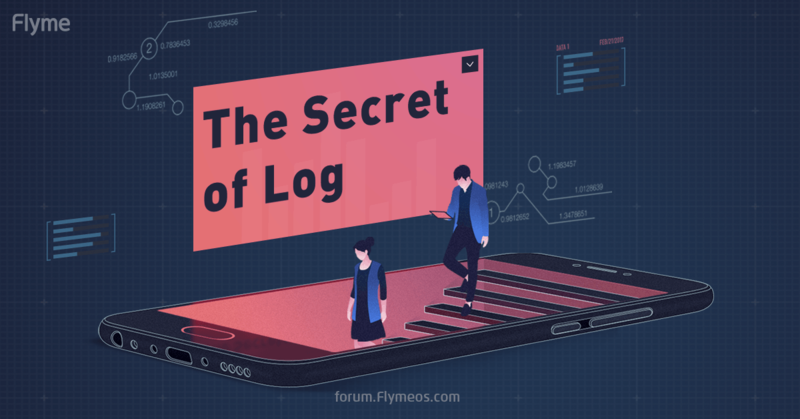 Today, let's run through some basic knowledge of log, and next time when you have a bug or suggestion to report, you'll have much more clue on how to do it more effectively. A 'log' is like a journal for the running phone, which records everything happened in the phone system within a certain period of time. "What the log has to do with the phone?" Log file is generated during the using of the phone. In another word, a brand new phone has no log. So a log will not affect the running of a phone in any way. "Then what's the purpose of having a log?" Although a log has no impact on the phone system, it does record the system running details. Therefore, when there's something wrong with the phone, we can check the log to find abnormalities. It's like a clinical history of the phone, and can be very useful when diagnosing the phone's issues. "Why am I always asked to provide a log?" As we mentioned above, a log is like a phone's clinical history. By providing a log to the engineers, you enable them to locate the abnormality more quickly. This is the very first step to solve an issue --- find why it occurs in the first place. "But sometimes my log becomes 'invalid', 'incomplete' or 'ineffective', why?" A log itself will no be 'effective' or 'ineffective', since its job is to record the running details faithfully. When we say a log is 'invalid' or 'ineffective', we mean that this log contains no record on the abnormality, therefore we cannot locate the reason which caused the issue. This kind of log will be identified as 'invalid' or 'ineffective'. Under this situation, users sometimes will be informed to provide a more complete log, which covers longger period of time and use so the abnormality is recorded properly. How to capture a log? Here, we're going to use a tool called LogReport, which can be download in App Store (Hot Apps in Flyme 5). (Note: some users said they can't use Search in App Store, to solve that problem, please switch your system language to English, and then you should be able to search apps in App Store. Before we start using the app after installation, we need to enable the log export in Settings > Accessibility > Developer options > Performance optimization > Advanced logging > Allow all (some models are Settings > Accessibility > Developer options > Advanced logging > Allow all). And then, launch LogReport, tap 'Record Logs' in the bottom, we can see options to let us choose which part of log do we want to record. Normally we check all the options so we get a detailed full log. And once the log starts, you can press Home key to went back to Home screen and do the operation which you want the engineer to analyze. The log will capture everything during your operation. After the operation is finished, go back to LogReport interface, tap 'End Recording' and after a while you can see two options: Open folder and Share logs. You can share via Bluetooth or Email, or you can simply check it in the folder. Now, you have a full log which can help the engineers to locate the bug you want to report. It's easy, right? So next time, when you encounter a bug, don't panic! Record the log and submit it to the Bugs section to help the engineers to solve the bug! we already know . .! Nice to explain everyone. Why it not placed in (hidden) app store in flyme 5? by the way, who is the photoshop artist for this photo?? The link to download, please?